I've never played Skylanders, and I suspect the whole idea was just a little late on the scene to interest my children, but I have seen it in toy stores and advertised on TV. Now I have very little idea about what you do with them, but I do like this idea in turning them into a sort of chess. Using the hardware that comes with Skylanders the authors children developed a new form of chess that in part relies on their special features. Particularly interesting is the idea of hiding the portal (which makes pieces above it light up) uder a chess board, and granting invulnerability to pieces that are illuminated. IM Andrew Brown continues to lead the 2013 ANU Masters after winning his 3rd round game against Justin Chow. Chow tried the slightly offbeat Veresov Opening, but was soon on the back foot. An attempt at a kingside attack was unsuccessful and Brown soon had Chow's king caught in a mating net. FM Junta Ikeda is half a point behind after beating Adrian de Noskowski in a rook and pawn ending. de Noskowski was worse for a lot of the game but managed to find a path to a drawn rook and pawn ending. 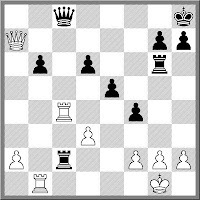 However Ikeda continued to try and convert the position and was rewarded when de Noskowski chose the wrong move. Yijun Zhang and Steven Sengstock drew an up and down game where Zhang gave up a piece for 4 pawns, but the walked into a tactic which allowed Sengstock to clean most of them up. Sengstock then swapped into an ending he thought was winning, only to discover it was not. Micheal Wei scored is second win in a row, beating Kishore Sretharan in a rook and pawn ending. At one point Wei gave up a couple of pawns to get his passed pawn moving, and eventually Sreetharan had to surrender his rook for it. A couple of accurate moves was then enough to secure the victory. I've often wondered whether Australian's (and the English) have a higher tolerance for draws in chess than people from other countries (obviously excluding the other Test playing nations). Given the importance of Cricket in our shared sporting culture, the fact that a game can go for 4 or more hours and still end 1/2-1/2, probably does not surprise us. While the same argument might be made for football cultures, the shorter period that football takes to play might not create the same attitude. The Zurich Chess Challenge currently being played between Anand, Kramnik, Caruana and Gelfand has provoked a degree of comment on this issue. At the halfway point all the players are tied on 1.5/3 with all games being drawn. The games themselves have been hard fought (and any games drawn before move 40 are to be followed by another exhibition game), but the result has still been 0.5-0.5. Gelfand defended the results at one of the post match press conferences stating "The game is interesting. The result is just statistics". In a weird way this does remind me of old-school Rugby (The perfect game ends 3-0 to England), but ultimately people are after results. Even Gelfand hinted at this when he said "But a lot of people in the chess world only look at the results and think chess is boring". 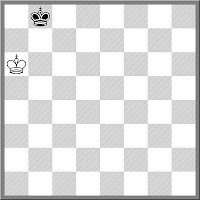 While I am not advocating a chess '20-20' to liven things up, it is worth recognising that the point of competition is to find out who is the best player. However with 3 rounds to play I'm predicting that at least one game will end decisively, and that Kramnik will be the player to win the tournament! Just a short follow up to last weeks ACT Championship. 4 years ago the format was changed to a 9 round double weekender. The numbers have hovered around 30 players for each of the tournament, which is about halfway between 'scraping by' and 'fantastic'. Of course there were twice as many ACT players who could have played than actually did play, but this has always been the way. As with previous years IM Andrew Brown and FM Junta Ikeda (the strongest active players in the ACT) supported the event, even in the absence of the players closest to them in rating. Of the players who did play, there were three particularly notable performances. Aelfric Gardiner-Garden scored 5/9, playing on the top boards for most of the tournament. Despite a rating of 1311, he drew with top seed Junta Ikeda, beat a number of higher rated opponents, and was a few moves away from finishing in third place in his final round game. Joe Lee came into the tournament as an unrated/unknown and also scored 5/9. He had played tournament chess around 30 years ago, but to do so well in one of his first tournaments back was a real achievement. Erick McPherson was another lower rated player who seemed to be on or around the top boards for most of the event. Although he ended up on 4.5, he did so the hard way. The tournament itself ran very smoothly. This year I was assisted in my arbiting duties by Lee Forace who did an excellent job thought. There were no significant incidents to speak off, although players handwriting could always be improved. In one of the games the score sheets seem to indicate that on move 3 Black played a6, then much much later played a5 in response White's b5. As White then played bxa6 in reply, there must have been a clerical error! The 2013 ACT Championship came to a somewhat surprising end, when overnight leader FM Junta Ikeda was held to 2 draws on the final day, allowing IM Andrew Brown to take a share of first place. In the morning round Ikeda found it difficult to get any advantage against a determined Aelfric Gardiner-Garden, and the game was drawn after a Queen and Knight ending was reached. Meanwhile IM Andrew Brown played an adventurous exchange sacrifice against Ian Rout, seemingly for insufficient compensation. However in trying to strengthen his attack, Rout overlooked a tactical refutation and lost shortly after. Theses results left Ikeda half a point in front going into the final round. Brown increased the pressure on Ikeda with a quick win over Adrian de Noskowski, while Ikeda still had to beat Allan Setiabudi. Setiabudi defended well, but with a draw in sight played a move that gave Ikeda the chance he need. However short of time Ikeda failed to to find the correct follow up (37.Qh4+) resulting in an equal position. However Ikeda made one more attempt at winning, but when he realised this might backfire on him, bailed out with a draw and a share of the title. Harry Press and Victor Braguine finished in third place, after last round wins. Braguine also picked up the best Under 1800 prize, while Aelfric Gardiner-Garden and Bazli Karattyattil were the best Under 1400 players. Joe Lee picked up the prize for best Under 1200/Unrated with an impressive 5/9. Full results from this event can be found here, while games from the tournament can be downloaded here. FM Junta Ikeda continues to lead the 2013 ACT Championship after 7 rounds. Despite a couple of tough games against Harry Press and Steven Sengstock, he won both games to maintain a perfect 7/7. IM Andrew Brown is in second place with 6/7, and while there are 2 rounds to play, his chances of catching Ikeda are quite slim. Former ACT Champion Ian Rout is in outright third with 5/7, but faces Brown in tomorrow mornings round. Ikeda is up against Aelfric Gardiner-Garden, who started the tournament seed 17th (out of 28 players), but is currently tied for 4th place on 4.5. Results of the tournament can be found here, while games can be downloaded here. Courtesy of Richard James (co-author of "The Complete Chess Addict") comes the following remarkable game played recently in the Czech Republic. As he says "The real fun starts at move 53", after white under-promotes, resulting in a 3Nv3P ending. Even then Black has a couple of stalemate tricks, which White manages to avoid. Granovskiy, A. - Grochocinska, U. A couple of reasonably quick games started round 2 of the 2013 ANU Masters. Adrian de Noskowski missed a tactic by Kishore Sretheran and dropped a piece just out of the opening. Stephen Sengstock put Justin Chow under pressure on the kingside, and was also gifted a piece, after Chow simply left it en pris. The game between IM Andrew Brown and Andrey Bliznyuk was a sharp affair, with Bliznyuk advancing on the kingside while Brown took space on the opposite wing. Bliznyuk then sacrificed a piece to keep his attack going, but missed the correct followup and quickly found himself in a losing position. Jeremy Reading almost pulled off the first big tournament upset against FM Junta Ikeda, in a game that eventually went for 141 moves. Ikeda won the exchange after some nice queenside tactics, but Reading obtained compensation in the form of a strong passed pawn in the centre. In a tricky ending both sides looked like queening, and the shortness of time contributed to some inexact play. In fact both sides missed winning continuations, but when the smoke finally cleared, Reading was defending BvR after all the pawns left the board. He quickly ran his king to the correct corner of the board (ie the opposite coloured square to his bishop) and was able to hold the draw. In the following game Michael Wei whipped up a strong attack against Yijun Zhang, and finished it off with a nice rook sacrifice. After 2 rounds IM Andrew Brown is the sole leader on 2/2, with FM Junta Ikeda is on 1.5/2. Michael Wei is in the group of players on 1 point, but still has to play his round 1 game against Justin Chow. During this years ACT Championship I was chatting with one of the spectators, John Winkelman, whose son Albert Winkelman was playing in the tournament. I knew he had played chess in the past, although I usually saw him playing Go, at the ANU Go Club on Wednesday nights. During the conversation he casually remarked he once drew a game with Bobby Fischer, in a tournament in the US mid-west. Resisting the urge to exclaim "Pictures or it didn't happen" I made a mental note to look the game up when I got home. At first my search of my databases proved fruitless, but I had more success once I hit my library. Sure enough, in "The Games of Robert J. Fischer" by Robert Wade and Kevin O'Connell, there was the record of the 1955 US Junior Championship in Lincoln, Nebraska, showing that in round 9 Fischer had drawn with John Winkelman. There was no record of the game in the book, which explains why it did not turn up in my database. I asked John whether he had a copy of the game, but unfortunately he did not. He does remember that is was probably a Ruy Lopez, and that they agreed to a draw as they were 'scared of each other'. As for the tournament Fischer finished on 5/10 (+2=6-2), and picked up a prize for the best Under 12 player. It turns out he was a shoe in for this prize, as he was the only Under 12 player in the tournament. After 5 rounds FM Junta Ikeda leads the 2013 ACT Championship on 5/5. Tied for second place after the first weekend are IM Andrew Brown and Harry Press on 4/5. The morning round saw the Brown - Ikeda clash. Brown entered the middle game with an isolated d pawn, but some extra space and well developed pieces provided adequate compensation. He was able to target some weaknesses on the king side, and by move 40 had started to gain an advantage. Unfortunately this came at the expense of his thinking time, and just as he reached a winning position, he lost on time. A tragic loss after a well played game. In the 5th round Ikeda then played WFM Megan Setiabudi, taking an early advantage and winning in a fairly straightforward manner. Brown recovered from his 4th round loss with a win over Erick McPherson, who has proved to be a real surprise packet in this years event. On board three Harry Press caught Ian Rout in a mating net to to join Brown on 4. The tournament continues next weekend with Ikeda v Press on the top board. Full results can be found here, while games can be download from here. Day 2 of the 2013 ACT Championship saw the top 2 seeds, FM Junta Ikeda and IM Andrew Brown, continue their winning ways, ending the day on 3/3. They are closely followed by Wais Sidiqi and WFM Megan Setiabudi who are on 2.5/3. While Ikeda and Brown were relatively untroubled in their victories, their games were not without interest. Against Ian Rout, Ikeda demonstrated the efficient use of 2 rooks in the ending, while Brown turned a small advantage into a large one against Harry Press, all in the space of a few moves. Tomorrow's 4th round sees Brown play Ikeda, while Sidiqi and Setiabudi meet on board 2. A field of 28 players assembled for the 2013 ACT Championship. While the turnout was similar to previous years, the tournament is probably a little weaker at the top. The top two seeds are FM Junta Ikeda and IM Andrew Brown, but it falls away after that. Ian Rout, Allen Setiabudi and Adrian de Noskowski are the next 3 seeds, while WFM Megan Setiabudi is the only other titles player in the field. While there is potential for an upset from amongst anyone in the top 10, it already looks like the game between the two top seeds will decide the title. Although most of the first round results went according to ratings there were a couple of upsets. Allen Setiabudi drew with the fast improving Alfric Gardiner-Garden, while Adrian de Noskowski drew with David McDonald. Down on board 13 unrated Joe Lee defeated Eric McPherson in one of the last games t finish. This is based on something I saw in a tournament report from the Noble Park Chess Club in Melbourne, although it may have also been tried elsewhere. Instead of scoring each game as 1, 1/2, 0 you score the game based on rating differences between the two players. The higher rated player always receives 1 point for a win (and 1/2) for a draw, and the losing player receives 0 for a loss, but in the case of an 'upset win or draw, the lower rated player may receive more points. For example, a player wins against an opponent rated 125 points above them. As the expected score is 33% (or 2-1 in favour of the stronger opponent) the lower rated player would score 2 points for a win. In the case of a draw it would be 1 for the lower rated player, with the higher rated opponent still receiving 0.5. Of course this is a system that essentially rewards upset results, although it does not prevent the top seeds from doing well. Probably suitable for a fun blitz event, or even as extra handicap prizes in other events, but clearly not as a replacement for more traditional scoring systems. Here is the scoring table (based on possibly inaccurate back of the envelop calculations). To calculate these numbers simply divide N/(N+1) and look up the percentage on the standard ELO Dp table. Interestingly the gaps between the each score group get smaller as N increases. The ANU Chess Club is holding the ANU Masters for its 4th year, and the tournament began this evening. The event is a FIDE rated Round Robin, with the field consisting of 3 invited players, and 7 club members who qualified by winning ANU Club events in the previous year. The first game to finish was between Yijun Zhang and Adrian de Noskowski. de Noskowski was saddled with an isolated pawn on an open file, but Zhang felt a draw was a good outcome, and so the game was halved. Stephen Sengstock felt he had a good position against Andrey Bliznyuk, especially when Bliznyuk had all his pieces on the back rank, but giving up the exchange proved unsound and Bliznyuk won the ending. Junta Ikeda was able to win a pawn going into the ending against Kishore Sreetharan, and despite attempts to complicate the position, Ikeda was able to start the tournament with a win. In the game below, Jeremy Ready essayed the Sniper against IM Andrew Brown, but Brown came prepared, although the position was still equal in the middle game. Brown then sacrificed a piece to get his central pawns rolling, and eventually Reading had to return the piece, before losing a second. The game between Michael Wei and Justin Chow will be played at a later date. I haven't played a serious game of chess in about 2 months, and the rust is already showing through. This is a position from a game I played this evening, and having negotiated my way through a tricky open I ended up here. I am black, my opponent has just played Re4-c4. I reflexively captured on c4 (with the rook), and after a couple more moves my opponent resigned (a little early as it turns out). But what did I miss here? Having more than one player decide on the best move is not always desirable. The various Kasparov/Carlsen/other GM's versus The World have shown that you can have too many cooks, while there have been some famous games where teams of players have lost surprisingly quickly. But two against two should even the odds, with both sides having to argue among themselves. Nonetheless, it is still possible for two players to overlook their opponents winning trick as this game from 1897 shows. Here is a nice game from the currently on-going Moscow Open. SS Ganguly finishes off his 2500 opponent with a nice combination that starts with an exchange sacrifice. After that he simply puts his pieces on their best squares, each time making a threat as he does so. Eventually his opponent stops to count the pieces, and then resigns. This weekend Canberra hosts its annual Multicultural Festival. The centre of the city is transformed, with lots of food stalls lining the pedestrian walkways, and a large stage for music and dance performances. The main item on the menu at most stalls is 'meat on a stick', although one stall took it one step further with 'chips on a stick'. As for the performance stage, this was set up in its tradition location, right next to where we play Street Chess. A few veterans of previous Multicultural Festivals requested a move to further away from the noise, but the tournament isn't called 'Street Chess' for nothing. So we played while there were Chinese dancers, African drummers, and what seemed to be a group representing the culture of Boston Heavy Metal Fans. The upside was we had a lot of spectators watching the chess, and this led to my favourite moment of the day, With the heavy metal band in full swing, two young boys and their Grandmother stopped to look. The noise drowned out their conversation, but I could pick up the gist of it from the facial expressions and hand gestures. I suspect it went "Nan, can we stay and watch the chess". "Yes" replied the Grandmother, putting her finger to her lips. "As long as you're quiet"
Should I learn an opening or should I first study it? Some clever advice from Bill Hartston in "Teach Yourself Better Chess". He says to choose an opening, play through high level games where you identify with the moves from one side or the other. Having done that, then play through a larger collection of games in that opening (at least 10 and as many as 100), until you correctly guess the vast majority of moves. Then, and only then, do you hit the books, to see what 'theory' says. He equates it with learning a foreign language, with each game extending your vocabulary! The always popular Dubbo Open is happening on the weekend of the 16&17 March 2013. It is a 6 round swiss, with a time limit of G60m+10s. There is also a Handicap Blitz on the Saturday night, with a number of fun prizes on offer. First prize for the main event is $350 with other prizes dependant upon entries. The tournament also doubles as the NSW Country Championship, with a $150 prize for the winner of the title. Further details on the tournament, and the Dubbo Chess Club can be found at the club website. Here is another K v K puzzle. In fact it is 3 puzzles in 1. Apparently the movie "Computer Chess" went down a storm at the recent Sundance Film Festival. It is a movie about a computer chess championships in 1980, although the plot veers away from chess towards some new-age couples therapy, just to keep the audience on their toes. So far all I've heard is good things, although when and where the movie will be shown in Australia is still up in the air. It may make it to the cinema's, it may go on the festival circuit (like "Bobby Fischer versus the World"), or you may have to find it on the huge online video library that is the internet. If you want to read a quick description, as well as see the trailer, then here is a link. The first FIDE rated event of the ACT Chess Year starts on February 15th. It is the 2013 ACT Championships, and is being hosted by the Tuggeranong Chess Club, at Tuggernanong Vikings, Ricardo St, Wanniassa. As is in previous years it will be a 9 round swiss open to all members of the ACT Chess Association (you can join when you enter). There will be 1 round on Friday evening (15th), and then 2 rounds on the 16th, 17th, 23rd and 24th of February. The time limit is 90m+30s per move. If you wish to enter the tournament, or find out more details then click on this link. Every now and then we lose due to a fingerslip. Often this is because we calculate a tactical sequence, and then play the moves out of order. It is even worse when we skip over a move ie having calculated a tactical sequence we start with the second move, forgetting the capture/recapture that kicks the whole thing off. And it doesn't just happen in over the board chess. I've fallen victim to it in CC, losing the game after dropping a pawn for nothing. However the following game is far worse. Played in a CC Thematic event, both players were still in book when White played 16.Qc2?? which dropped a piece. He simply forgot to play 16.Nxd6+ first! Just turned on to watch the cricket, and I see Pakistan has been rolled for 49 in South Africa. Just recently New Zealand went for 45 against the same team, while Australia was the third team to not pass 50 in South Africa, when they managed 47 in 2011. While this may simply point to issues with batting in South Africa, Australia scored a paltry 74 against Sri Lanka in a recent ODI, then reduced the West Indies to an even smaller 70 in an ODI played just yesterday. There may be a number of reasons for this run of low scores, such as pitch conditions, and better bowling, but I've decided that 20/20 cricket is to blame. It seems the shift to "hit out/get out" means that batsmen aren't (a) remembering to pick the deliveries to play at and (b) learning how to play themselves in. As a result the loss of a few wickets seems to create panic in the remaining batsmen, with disastrous results. The only people smiling about this would be the bowlers, who seem to be the real beneficiaries from 20/20. Not only is it helping them improve their Test/ODI averages, they still get paid to serve up only 4 overs a game, before relaxing in pavilion. I've noticed a few chess scenes in a couple of movies I've watched recently. Funnily enough they were both Westerns, although the 'serious' Western seemed to have 'bad chess' while the non-serious one, seemed to get it right. The non-serious Western was Blazing Saddles. There is a scene where Sheriff Bart plays the Waco Kid in chess, and while there is some debate about whether the final position is really checkmate, it looks as though they got most things right. The other Western was No Name on the Bullet, starring Audie Murphy. Early in the movie his character, a hired gun, plays chess against the town doctor. However I am pretty sure that the board was set up the wrong way, as it seemed that Murphy (as black) had his Bishop on g8, and his Knight on f8. This probable error was highlighted when he played Ng6. Having decided that such an error was going to bug me for the rest of the film, I of course found something else to watch.